[BN] Blitz newsletter: What are the Bills' draft needs after the first wave of free agency? The Bills made significant upgrades to their roster during the opening week of free agency. What do their draft needs look like now? Jay Skurski gave that some thought this week before he released his second mock draft of the year. 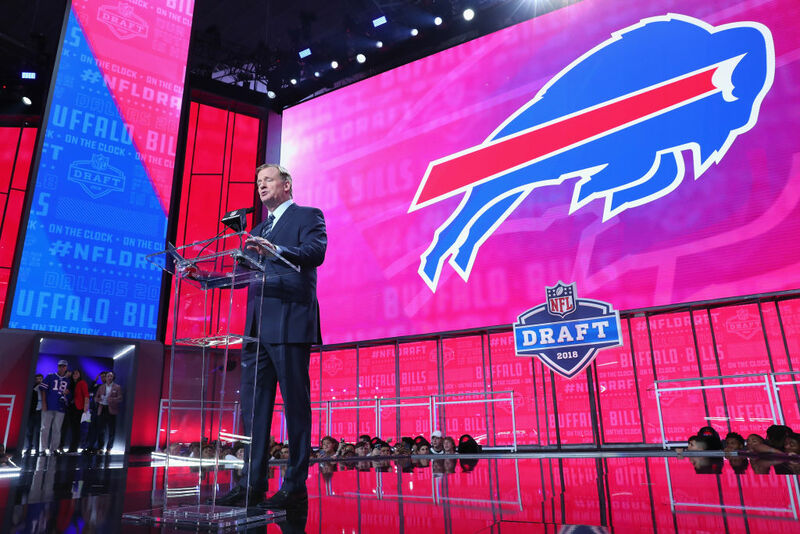 The Bills' updated draft needs, "in no particular order, are tight end, defensive tackle, insurance at edge rusher, and linebacker depth," Skurski wrote. He projected the Bills to trade back from ninth to 11th and select Houston defensive tackle Ed Oliver, who was a top high school recruit but chose to play with his older brother Marcus rather than attend an elite football program. The knock on Oliver is that he's undersized for the position (6-foot-1 7/8, 287 pounds), but he still dominates on the field. The graphic below shows that while Oliver is smaller than most others at his position who have attended the Combine, he still managed to outperform them in drills. Wait just a second: If you continue reading Jay's mock draft, one more name should jump out at you: Rock Ya-Sin, a cornerback out of Temple, who was – wait for it – a high school wrestler! According to his Temple bio, Ya-Sin was a two-time state champion wrestler in Georgia. He majored in psychology, and he's tall for a CB at 6-2. Cornerback isn't a major position of need for the Bills, but Sean McDermott has to be salivating. McDermott might have the guy in for a pre-draft visit just to talk takedown moves. If Ya-Sin falls in the draft, don't rule him out. Shaq, WYD? Bills defensive end Shaq Lawson posted a video of himself in a Johnny Manziel Browns jersey for some reason. But maybe he just likes jerseys. This might be less unusual than the time he had a Chicago Blackhawks jersey in his locker.